ODYSSEY Batteries Automotive and LTV Battery (Metal Jacket-SAE Brass Terminal) delivers the massive starting power, rapid recovery and amazing deep cycling capability that vehicles of today, demand. Whether for everyday or emergency use, vehicles are loaded with more electronics than would have been imaginable just a few years ago. And hobbyist vehicles now include more specialties and specialized power demands than ever before. Fortunately, the ODYSSEY battery has been designed to keep up with the changes. Because its plates are made of pure virgin lead (unlike the lead alloy in most batteries), ODYSSEY packs more plates in. More plates mean more plate surface area, and much more power. Twice the overall power and three times the life of conventional batteries, up to 400 cycles at 80 percentage depth of discharge. These batteries are built for a range of performance from everyday vehicles, classic and antique cars, high performance cars, 4x4 and off-road, to modified vehicles. 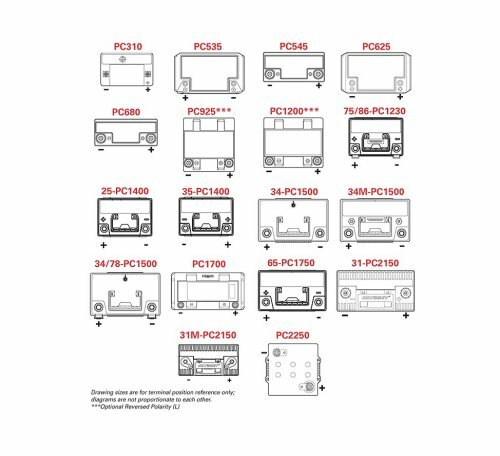 Its construction consists of pure virgin lead plates for maximum surface area and optimized recycling, AGM (absorbed glass mat) design that eliminates acid spills, high conductivity, corrosion-resistant tin-plated brass terminals, high integrity terminal seal, a sealed design resulting in gases recycled internally, a self-regulating relief valve, tough flame retardant cell containers and robust internal cell connections to prevent vibration damage. ODYSSEY batteries beat spiral-wound. 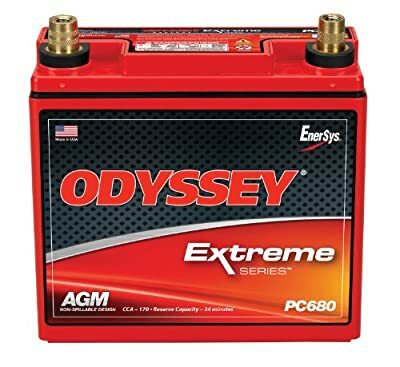 Compared to spiral-wound batteries of equal size, ODYSSEY batteries pack 15 percentage more plate surface area into the case. Avoiding the dead space between cylinders in six-pack designs means ODYSSEY batteries deliver more power and 40 percentage more reserve capacity.